The hotfix before the weekend was slightly delayed and Blizzard is asked all players to avoid using the DH’s Grim Reaper with Aura of Frailty. Blizzard has officially called it an “exploit” and it’s being worked on as Blizzard released a statement. 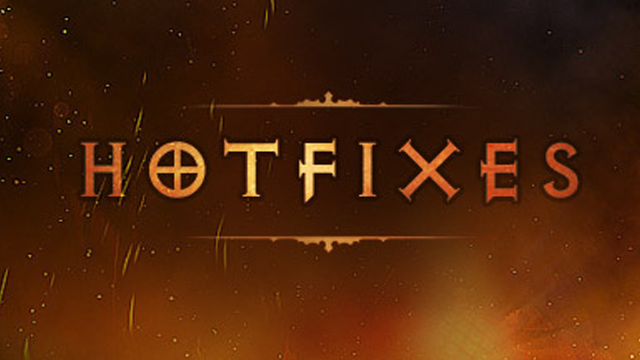 Update: The hotfix is now live. The exploit will apparently be fixed up on Monday and it’s still unclear what Blizzard will decide to do. A double XP buff is coming after it goes live. We’ve unfortunately encountered some technical issues with today’s hotfix that will require us to delay the hotfix until Monday. Apologies for the delay on this – the team is hard at work on the fix. We’ve been discussing all the feedback and are looking into various options to take further action after the hotfixes are live. In the meantime, we encourage you to avoid this exploit. Additionally, by way of apology, we are looking into providing a Double XP buff at some point after the fix goes out. Although we generally don’t provide such buffs (in order to discourage people from only playing when a buff is active), we feel like the unusual circumstances in this case warrant an exception. Thanks so much to the community for your heartfelt feedback on this issue. We’ll continue to keep an eye on the discussions here and elsewhere as we continue the era and approach Season 11, and we’ll provide an update as soon as possible next week. Out of curiosity, what does that combo do? Oh snap. Wonder if Blizzard will be looking at their patching process in future so that they could have gotten onto that one much faster. noice! there hasn’t been a double xp event since FOREVER!!! oh yeah?! sheesh I’m not even going to further comment on how stupid that comment is.